The Chinese conductor Xian Zhang has made history by being the first woman conductor to be appointed to a titled role with a BBC orchestra. Whilst Marin Alsop made history when she conducted the Last Night of the Proms in 2013, Xian Zhang's appointment as Principal Guest Conductor of the BBC National Orchestra of Wales makes history too, and it is perhaps surprising that it has taken so long for a woman to appointed in this role. The appointment takes place from September 2016 and lasts for three years. On 27 September 2016 Zhang conducts her inaugural concert as Principal Guest Conductor at BBC Hoddinott Hall in Cardiff, with a programme including Tchaikovsky’s Symphony No 4 and Barber’s Violin Concerto, with Chloë Hanslip as soloist. 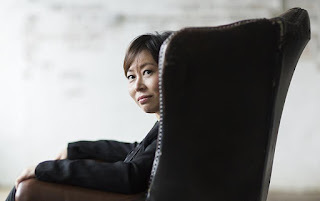 Further highlights of Zhang’s 2016-2017 season include a collaboration with Chinese composer Qigang Chen, and her tenure with BBC NOW promises to bring out her interest in contemporary Chinese composers. Xian Zhang trained at Beijing’s Central Conservatory, earning both Bachelor and Master of Music degrees before moving to the United States in 1998. She conducted Puccini's La Boheme at English National Opera this season and in 2014 conducted Verdi's Nabucco with Welsh National Opera.